Can you share the mission on the litchi mission hub so that we can look at it in detail? "In Litchi the 3D distance between consecutive waypoints (including between last WP and first WP) must be within 0.5m to 2000m. Max distance and altitude settings in DJI GO are respected." Check your distance limits in the Go App." 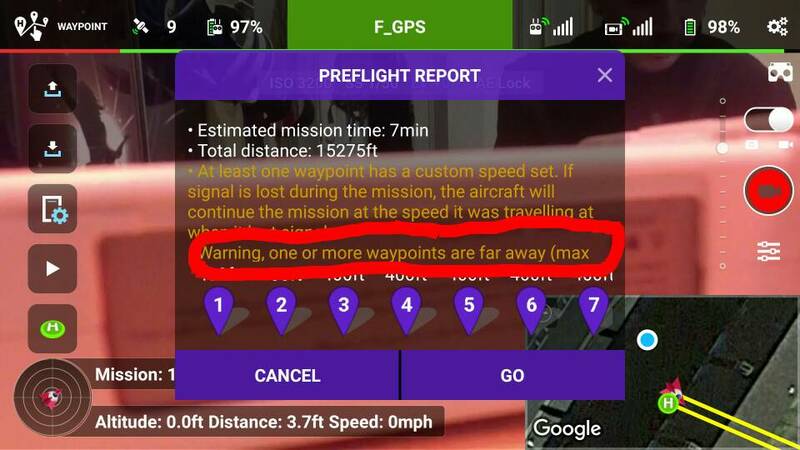 It is just a warning,it will still fly the mission.Why are you so high? Oh, you mean his Phantom?